57th Men and 30th Women Championship of Greece took place on 30 November – 9 December in Igoumenitsa. Big news is that untitled 19-years old Ioannis Papadopoulos convincingly won the Men Championship full two points ahead of the group of established Grandmasters. Impressive score having in mind that tournament was short 9-games round robin. 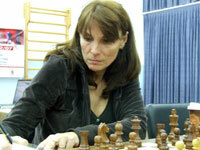 Experienced WGM Marina Makropoulou had Women Championship under control and clinched the title with 6.5 points, half point clear ahead of young WIM Ekaterini Fakhiridou. 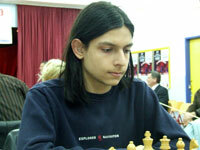 Best Greek female player IM Yelena Dembo didn’t take participation because she is playing at strong Salona 2007. Photos courtesy of the official website.